The powerful Brian and Shane Anderton operation made their presence felt at Riverton on Saturday when they produced Fascinate and Raise You Ten for a winning double. Progressive four-year-old Raise You Ten produced a powerful late run to cap off some solid form of late when winning the day’s open sprint over 1200m. Earlier in the day stablemate Fascinate had shown plenty of grit as she fought off a late charge from local mare Flying Sardine to collect the ninth victory of her 38-start career when successful over 1400m. Co-trainer Shane Anderton was confident of a good showing from Fascinate after she had given multiple stakes winner Tommy Tucker a hurry-up in trackwork leading into the meeting. “She won well today as she likes a bit of cut in the ground,” he said. “She worked really good the other morning and had Tommy Tucker off the bit. Any horse who can get him off the bit is working alright. 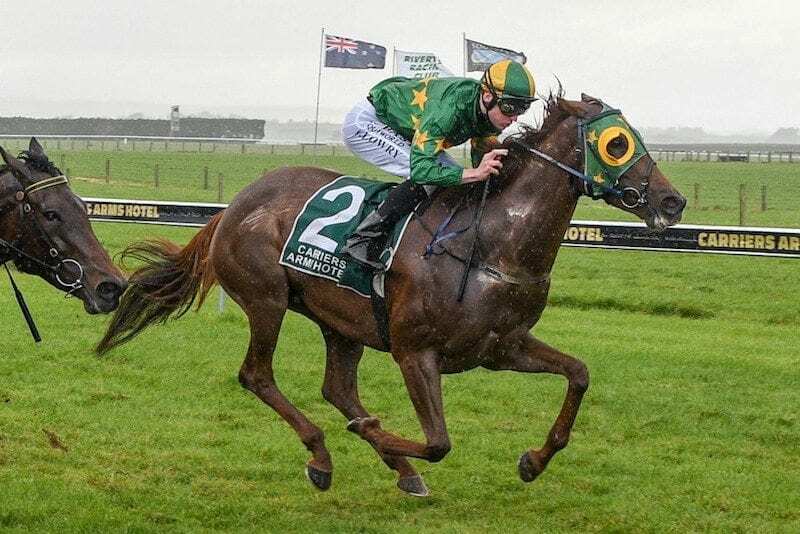 Anderton admitted they had thought about running Fascinate in the Gr.3 Valachi Downs South Island Thoroughbred Breeders Stakes (1600m) at Riccarton last week but opted for the Riverton meeting instead. “We thought about the Valachi last week, but we thought this was a good stake today, so this was the one to target,” he said. “She’s done the job for us. Rider Jacob Lowry also had plenty of praise for the performance. “She’s a mare who has had a lot of issues and we’ve spent a lot of time getting her right,” he said. “She’s pretty quick and can run time but we’ve had a problem getting her out of the gates. She got away good today and she was a happy mare.